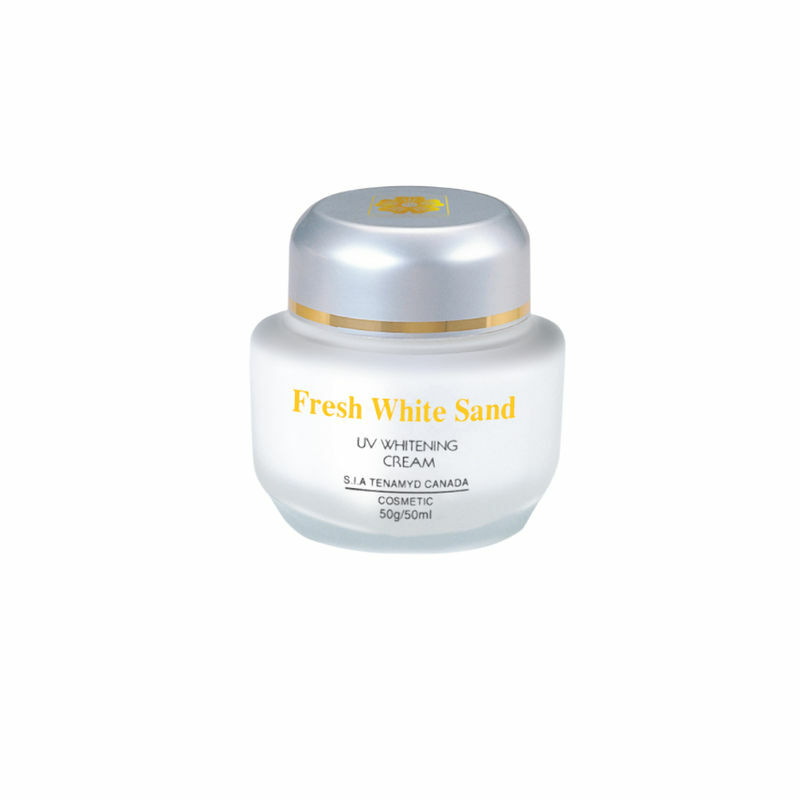 Tenamyd Canada Fresh White Sand UV Whitening Cream provides nutrients for skin rejuvenation, helps smoothing and brightening the skin. It protects skin against melanin formation and maintains its moisture level. Arbutin - Skin whitening and impedes the production of melanin. Licoricey extract - Carries anti-inflammatory and anti-allergic properties . Mulberry root extract - Prevents dark skin and helps whitening the skin.